Steven Singer, you spoke the truth. Now, to get people to listen! Thank you for this. I was just telling my colleagues that I believe that we are committing malpractice. It is not just the tests, it is all of the test prep. Everything that we do in education now is test prep. No doubt human beings can be biased – especially when they’re involved in a practice that is designed to be biased from the very start. I try very hard every day to be as fair as possible to my students, but I know I fail sometimes. But at least I’m aware of it and keep trying. It appears that we are left with a choice. We can use standardized tests with there history of racial bias to identify students for gifted programs or we can drop the tests and use the even more racially biased teacher recommendations. My post was not about making an assumption that teachers were more racially biased than the tests, it provided evidence that teachers were more racially biased than the tests. Did you read the link? The evidence is pretty clear. When the country used a standardized test to determine if a student should be considered for gifted instruction, the percentage of students of color that were deemed candidates for gifted instruction tripled. When, because of budget cutbacks, the county went back to the old system of having teachers and parents recommend students be considered for gifted programs, the percentage of students of color were deemed candidates for gifted instruction fell by two thirds, back to the original levels. Teachingeconomist, the article you mentioned detailed one study in one Florida county, Broward. That is not nearly enough data to generalize for the entire country. However, there is evidence nationwide (worldwide even) to support the widespread existence of standardized testing bias. Second, the test only identified children who were suitable for gifted classes. It was not high stakes nor was it similar to federally mandated annual testing. Third, they replaced the test that increased the percentage of minorities in advanced classes with another one that did not. That just goes to show that these tests are not a panacea – they can be biased, too. In fact, the second test is much more similar to the tests children take at federal mandate. In short, this is not evidence that tests are more impartial than teachers, as you claim. It is partial evidence that some tests may be better than others. Even if we found the perfect test to sort students, we would need to do something about reducing racial bias among teachers, parents, school boards, politicians and teaching economists. That is the real goal. It’s poverty’s fault as the article says–but standardized testing makes it worse. 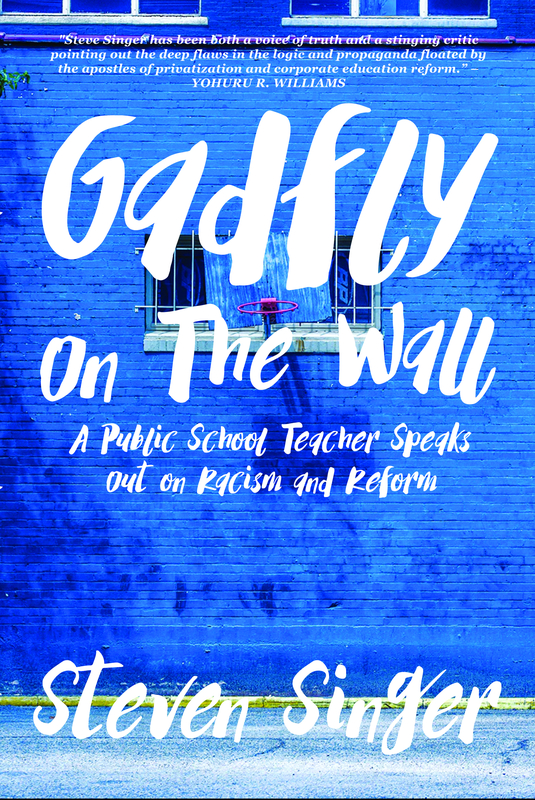 All the stress can bias teachers who sigh every time an English langauge Learner walks in their room because teachers today face insurmountable challenges in differentiating for these learners in our highly-standardized educational climate. Most good teachers are not inherently biased unless we’re frustrated at being pushed through rigid, standardized CCSS pacing guides with no time to slow down for ELLs or struggling readers –lest we not be prepared for the PARCC assessment. In race-to-the-top states standardized assessments mean standardized (not differentiated) curriculum that disadvantages struggling learners. Is it your position that there was less teacher bias before standardized tests began to be used to used in classrooms, say in the 1990s? Yes, before NAEP started publishing comparisons of states in 1992, NCLB and “Race to the Top” in the 2000s, and ESSA now. … Before high-stakes tests, teachers didn’t feel the brunt of value-added scores hurting their professional evaluations in a way that biased them against ELLs and other students (specifically students of poverty with low literacy) who need differentiated instruction teacher’s can’t offer in our highly standardized educational climate. Your blog arrived at just the right moment. I will be testifying at four meetings this week, all of which will be considering our TFA/Chief for Change Superintendent’s (John White) plan for ESSA accountability. I have been saying for years that it’s the test stupid to no avail. The strategy to make “reform” and its accountability system complex and impossible to understand, so that the single person controlling it can produce the results he wants, works. Ironically, the simple solution to “fix” it is to eliminate its foundation – the high stakes standardized assessment. If you don’t mind, I am shortening your blog to 3 minutes with attribution and presenting it to all four groups as testimony. Thanks! Geauxteacher, I don’t mind at all. I am glad my work has been helpful. Please let me know how it goes and if there’s any other way I can assist you. Good luck!